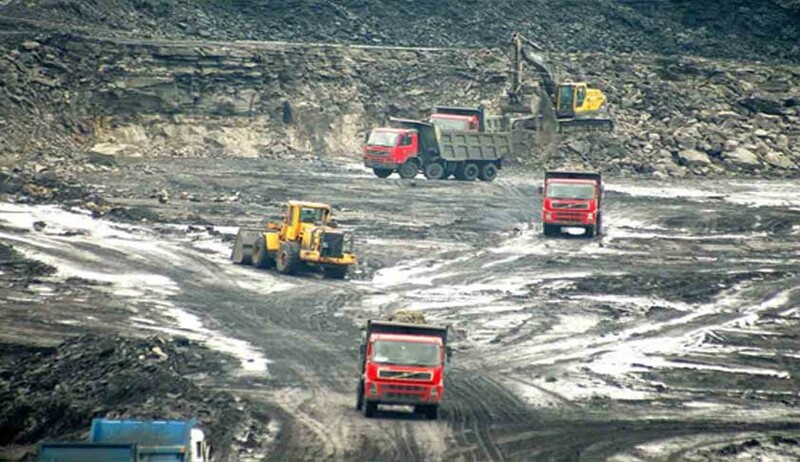 The Uttarakhand High Court has constituted a high-powered committee to examine issues relating to mining in the state. A division bench comprising Justice Rajiv Sharma and Justice Sudhanshu Dhulia observed that the state government has not given sufficient attention to the environmental degradation caused by mining activities reducing the quality of land, water, deforestation etc. Excessive mining has affected the quality of life of the people. There is large-scale erosion in the catchment areas of the Himalayas. Deforestion in the catchment area has also triggered floods. “Sufficient material though has come on record that irreversible damage has been caused to the mountain’s environment integrity and ecology by rampant mining permitted by the State Government. Yet, we are of the considered view that additional material is required to be collected now by appointing a High-Powered Committee which shall go into the entire gamut with regard to the vital issue referred above as to give a finding whether the mining activity should at all be permitted in the State of Uttarakhand now/presently as well as in future,” the bench said. Director General, Forest Research Institute, Dehradun. Director, Wadia Institute of Himalayan Geology, Dehradun. Director General, Geological Survey of India, Dehradun. Considering the exigencies and need, the Committee would also be authorised to co-opt a maximum of two other experts, if required. (2) The present Principal Chief Conservator of Forest Mr. Rajendra Mahajan and the present Commissioner, Kumaon, Mr. D. Sainthil Pandiyan would be the Secretary and Nodal officer of the Committee respectively. (3) State Government is directed to deposit a sum of Rs.50.00 Lakhs (Fifty Lakhs) with the Commissioner Kumaon, Mr. D. Sainthil Pandiyan. Nodal Officer/Commissioner Kumaon shall open and maintain a separate account for this purpose. The Commissioner, Kumaon is authorized to pay honorarium to the members of the High Powered Committee as per their status. The amount of honorarium shall be decided by Sri Sainthil Pandiyan, being the representative of the State but taking into account the status of the members, after consultation with them. Sri Pandiyan shall also be responsible for the payment of bills as regarding traveling and other expenses. (4) Mr. D. Sainthil Pandiyan, Commissioner, Kumaon shall be personally responsible to produce the entire data/material before the Committee from Revenue Agencies, Forest Department, Mining Department, Irrigation & Environment Department and other relevant Departments. (5) It is made clear that till further orders of this Court, Mr. Rajendra Mahajan, Principal Chief Conservator of Forest and Mr. D. Sainthil Pandiyan, Commissioner, Kumaon shall not be transferred, without leave of the Court, in order to maintain smooth functioning of the High Powered Committee. (6) The Chief Secretary of the State of Uttarakhand is directed to provide a separate room in the Secretariat commensurating with the status of the members of the High Powered Committee. (a) Whether the mining operations in the State of Uttarakhand can be permitted or the mining operations should be stopped completely or partially, keeping in mind the topography, particularly of the hills, the fragile mountains and the likely infraction of rural and mountain life of the inhabitants and the hazards to their health. (b) Whether the existing mining operations can be permitted on the principle of “Sustainable Development”, by imposing stringent conditions by taking further precautions on the basis of “Precautionary Principle”. (c) Whether the mining operations can be permitted in rivers, streams, rivulets etc. and beyond the height of 3000 ft. from the sea level. (d) The High Powered Committee shall give specific recommendations whether the stage of saturation has come as far as mining activities in the State of Uttarakhand are concerned. (e) The High Powered Committee is also directed to assess the damage caused to the rivers, springs, waterfalls and environment and ecology of the State of Uttarakhand by mining activities and to determine the just and fair compensation payable to all the persons affected by such mining activities in the State of Uttarakhand and how far these activities will affect the riparian rights of the persons concerned. (f) The High Powered Committee is further directed to fix the responsibility of the persons who are primarily responsible for causing environmental degradation. (g) It shall be open to the High Powered Committee to formulate more issues to save the environment and ecology of the State of Uttarakhand by taking into consideration the present status and future prospects of mining. (h) The State Government is directed not to grant any fresh licence/mining lease/reconnaissance or prospecting licence, in any form till the final report is furnished by the High Powered Committee to this Court. (i) The High Powered Committee is directed to provide necessary recommendations/guidelines, as to how the mining areas already mined can be reclaimed. (j) The State Government is directed to take every possible measure under the law including the registration of first information report against the persons who are involved in illegal mining. (k) The High Powered Committee shall determine the cleaning up cost of reclamation from the defaulters. (l) The lease granted in favour of respondent Nos.8, 9 & 10 is therefore kept in abeyance till the above reports are submitted. (m) The High Power Committee shall also prepare the blueprint for next 50 years taking into consideration the environment limits vis-à-vis the mining operation. (n) The High Powered Committee is directed to submit the interim report within four months from today, whether the ongoing mining operation can be permitted or are required to be stopped in the State of Uttarakhand. Till then, there shall be a complete ban on mining activities including in forest areas, rivers, rivulets and streams in the State of Uttarakhand.